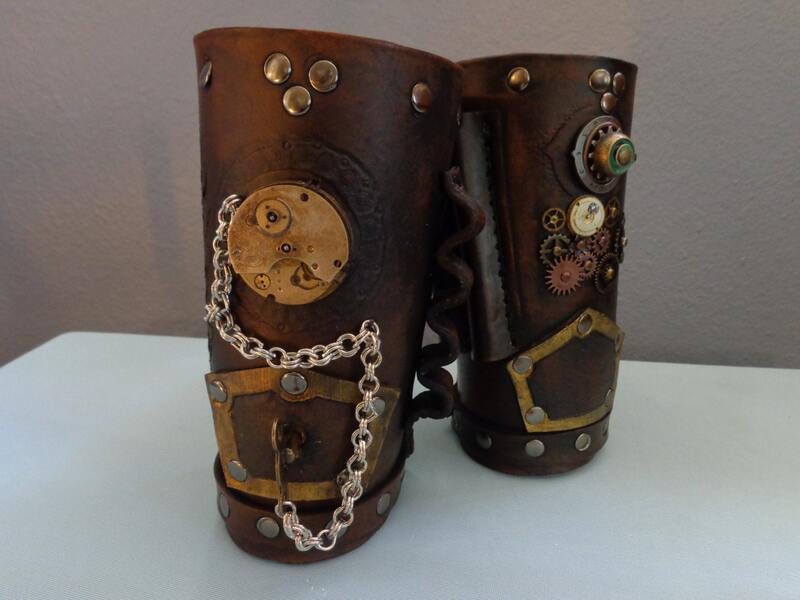 This pair of large "cowboy" style cuffs screams "Go big or go home!" One has a real antique pocket watch movement as a centerpiece and a clock key attached by a silver chain, as well as a horizontal bandolier for holding up to four cartridges, viles, chapstick, or whatever you like. The other has a series of moveable clock parts, watch parts, dials and gears, as well as a bandolier for two longer items like pens, pencils, screwdrivers, tranquilizer darts, etc. 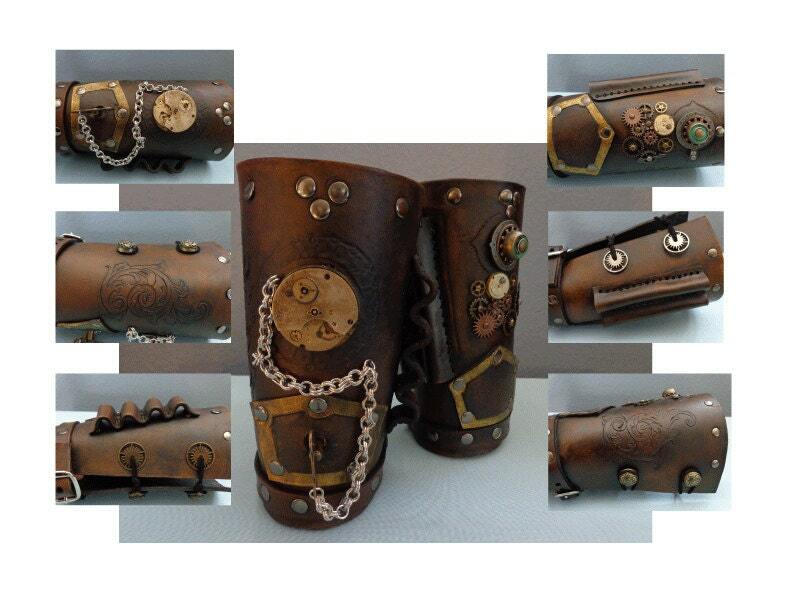 Both have a hand carved Victorian scroll on the side, buckle closure at the wrist, and button/loop closures up the arm.